Motorcyclists understand they face risks each time they ride, including the risk of severe injury and death. Studies show that 80 percent of motorcycle crashes result in death or injury compared to only 20 percent of car crashes. Riders can suffer the same injuries as occupants of cars and trucks; however, because of the exposed nature of a motorcyclist, some injuries are common in motorcycle crashes. Traumatic Brain Injuries (TBIs) and other head injuries are common injuries in motorcycle accidents. Brain injuries are the result of excessive force trauma to the head during a crash or collision. The impact from the collision causes the brain to “bounce” around within the skull crashing against the hard skull. The movement of the brain within the skull causes bruising, tearing, and other damage. A motorcycle helmet can help reduce the risk of a head injury in a motorcycle crash. Maryland law requires riders and passengers to wear helmets. In addition to the short-term effects of a brain injury, a TBI can also cause permanent damage and disabilities. Some victims of TBI suffer from memory, communication, and emotional disorders. In some cases, a TBI can increase the risk of developing Parkinson’s disease, epilepsy, and Alzheimer’s disease. Head and brain injuries can require extensive medical care, including ongoing physical therapy and personal care. The cost of treating a TBI or other head injury can be substantial, especially considering the potential for future damages. A car or truck provides protection for drivers and passengers in a car accident. Airbags, crumple zones, and other safety features reduce the risk of broken bones and fractures during a collision. However, a motorcyclist does not have the same level of protection. Therefore, fractures and broken bones are also common injuries in a crash. Even though many broken bones and fractures heal with time and medical treatment, some victims may suffer long-term effects from these injuries. Complex fractures and shattered bones can be difficult to repair. If bones do not heal in proper alignment, a victim could suffer from impaired movement or range of movement. In addition to the medical costs and lost wages incurred during recovery, a victim could also incur substantial future damages. Even a minor injury to the back or spinal cord can result in impaired motor function, loss of sensation, and paralysis. 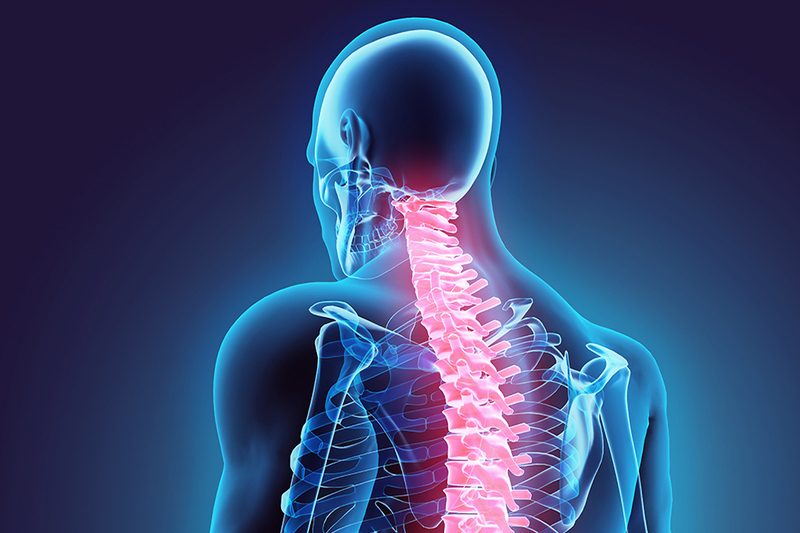 Spinal cord injuries usually require extensive and painful physical therapy. Costly personal and medical care is needed in the short-term; however, paralysis and other complications can require permanent care. The cost of treatment and care can quickly reach into the millions of dollars, especially for a young victim who might have 50 or more years of potential wage loss and medical bills. In addition to the substantial physical cost, the emotional damages caused by a spinal cord injury are great. The loss of the ability to move and feel caused by paralysis can be devastating. Motorcyclists who suffer a spinal cord injury caused by another party deserve to be compensated fully for all damages, including emotional and mental damages. The risk of disfigurement and scarring is substantial in a motorcycle accident. In a crash, the rider is often thrown from the motorcycle or dragged by a vehicle resulting in “road rash.” This type of motorcycle injury is very common. Depending on the degree of damage, road rash can be extremely painful to endure and costly to treat. Road rashes are abrasions or burns caused when the skin comes into contact with the ground, pavement, or gravel. When the layers of skin are stripped away, fat and muscle can be exposed causing the risk of infection. In some cases, a victim may require stitches and skin grafts to repair the damage. In most cases, scarring and disfigurement are the permanent results of this type of motorcycle injury. Therefore, in addition to the financial cost, the emotional and mental suffering caused by permanent scarring and disfigurement can also be great. Is There Anything a Rider Can Do to Protect Against Motorcycle Injuries? The Maryland Motor Vehicle Administration (MVA) recommends that all motorcyclists and passengers wear protective riding gear to reduce the risk of motorcycle injuries. State law requires all drivers and passengers to wear a DOT-certified motorcycle helmet. In addition, the MVA also recommends wearing additional protective gear including gloves, special riding jeans, protective boots, eye protection, and a sturdy jacket or long-sleeved shirt. The amount of compensation you might recover depends on several factors. An experienced Maryland motorcycle accident attorney can help you maximize your chance of recovering full compensation by protecting you from the tactics used by insurance companies against motorcyclists. Pinder Plotkin, LLC represents clients in Baltimore County and throughout the surrounding towns and counties. We have extensive experience fighting for the rights of motorcyclists. Contact us for a free consultation and no-obligation case review by calling 410-661-9440. Let our team of legal professionals help you recover a fair and just settlement for your accident claim.